Our product range includes a wide range of acrylic body rotameter, purge rotameter, bypass rotameter, purge metal tube rotameter, industrial rotameters and water rotameter. 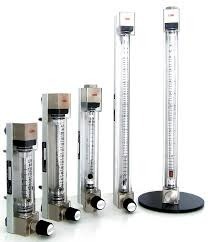 We are successfully ranked amongst the trustworthy entities offering a wide range of Acrylic Body Rotameter. The rotameter finds wide application use in gases, liquid, and water. The offered rotameters is developed in accordance to industry norms and quality parameters. In the offered rotameters, our professionals use the approved material during the manufacturing process. In addition, this rotameters can be built and developed according to the specification provided by the clients. Furthermore, our professionals opt for strict quality inspection made on the rotameters to ensure high performance. Meter Body Float: MS Powder coated/SS. Accuracy: +2% on Full scale 12. 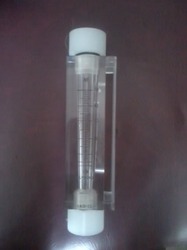 Backed by our well-equipped infrastructural facility, we are engaged in offering a broad assembly of Purge Rotameter. Being a quality-centric organization, we manufacture this rotameter under the strict supervision of quality inspectors by using the superior quality raw material. Moreover, this provided rotameter is properly examined on various quality parameters to ensure the flawless supply at clients' end. 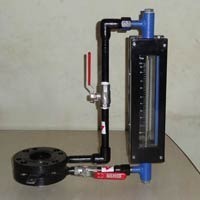 Within the short time period, we are engaged in presenting an excellent grade of Bypass Rotameter. At our unit, our professionals manufacture the rotameters by adhering to industry norms. They also make sure to use quality materials and approved components for manufacturing the rotameters. Once the rotameters is ready for operation, our engineers ensure by opting strict quality checks so that the rotameters offers reliability and high performance to the clients. Furthermore, clients can opt for custom design and compact design according to business requirements. We are successfully ranked amongst the topnotch entity offering a wide range of Purge Metal Tube Rotameter. 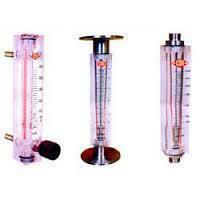 The offered rotameter is made available in two different models. The offered product is developed in accordance to industry norms and quality parameters. In the offered rotameter, our professionals use the approved material during the manufacturing process. 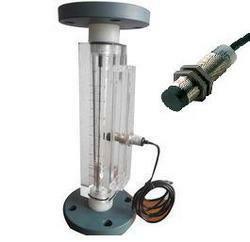 In addition, this rotameter can be built and developed according to the specification provided by the clients. Furthermore, our professionals opt for strict quality inspection made on the rotameter to ensure high performance. Rotameters are widely used for measuring flow through the line.